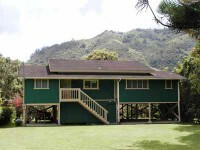 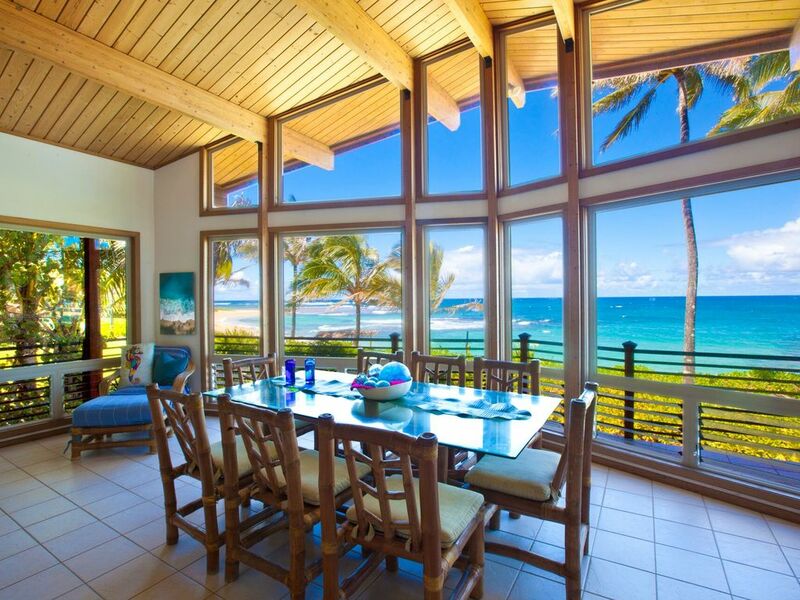 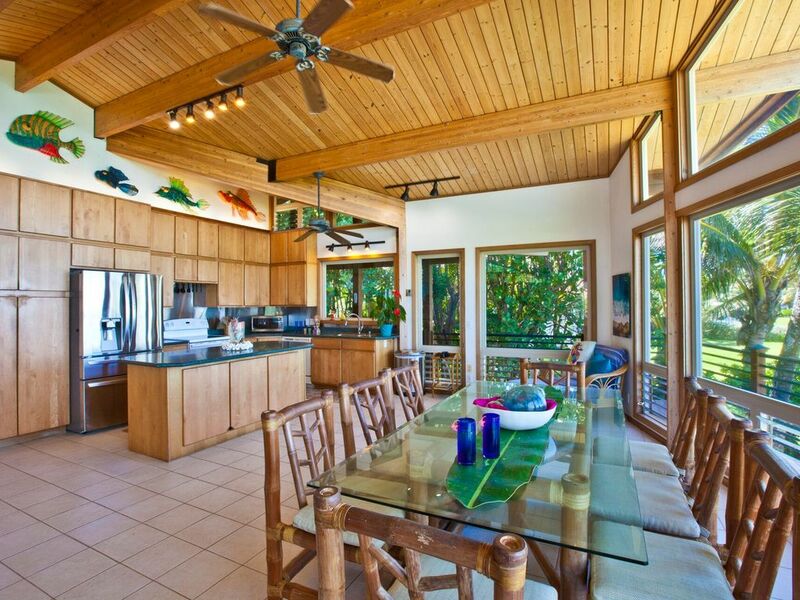 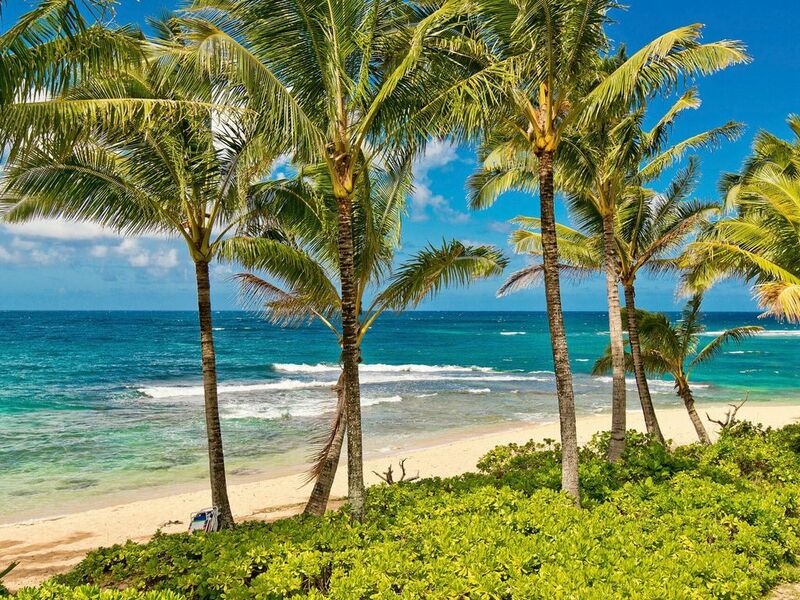 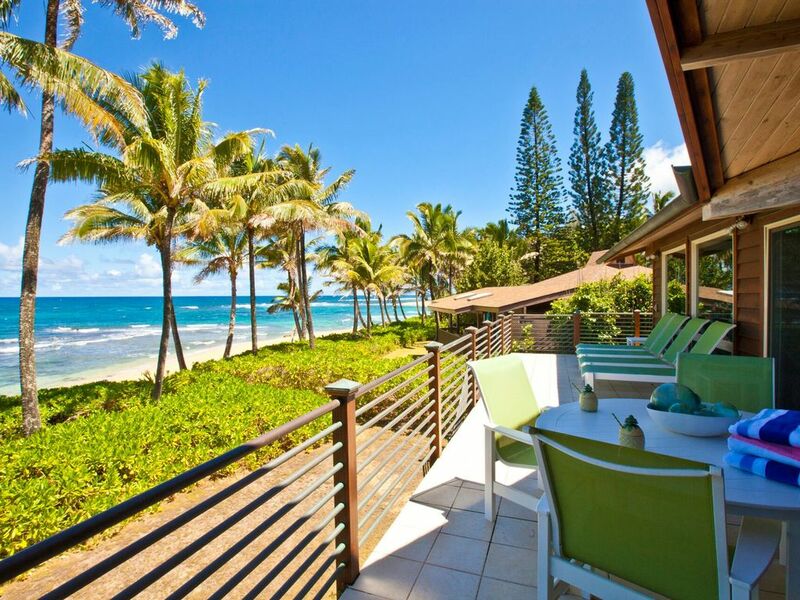 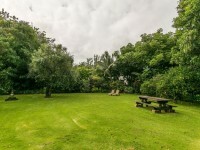 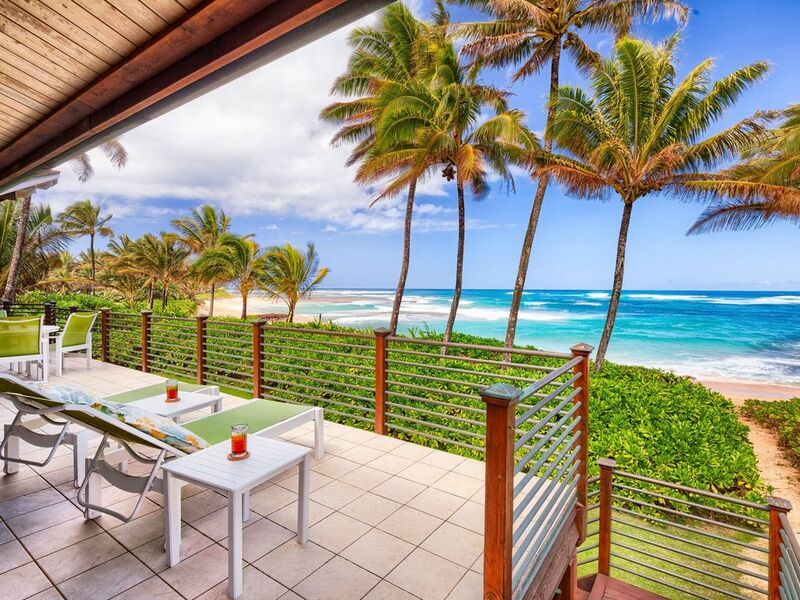 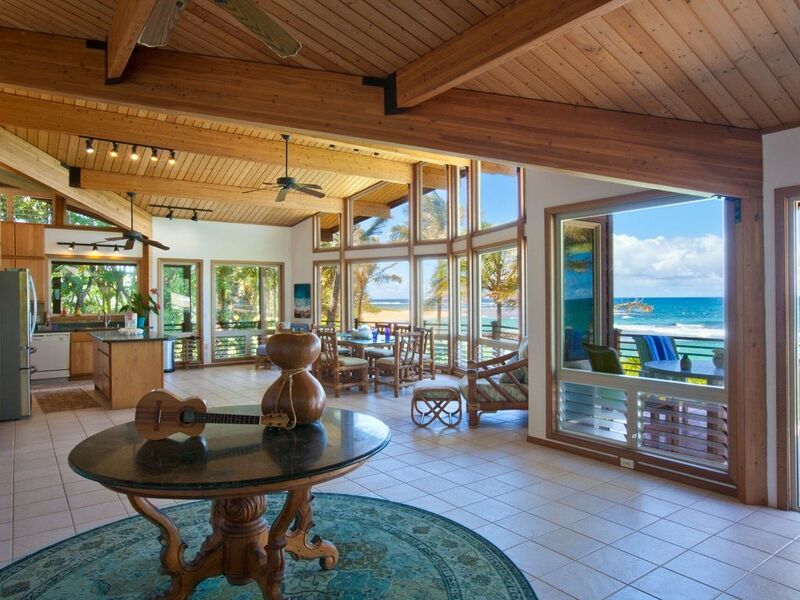 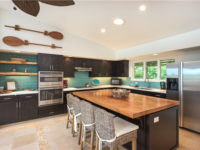 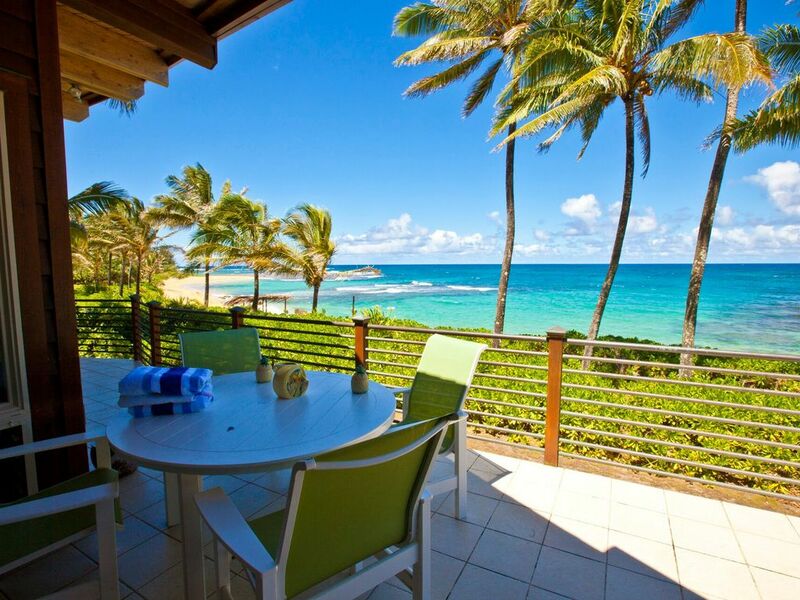 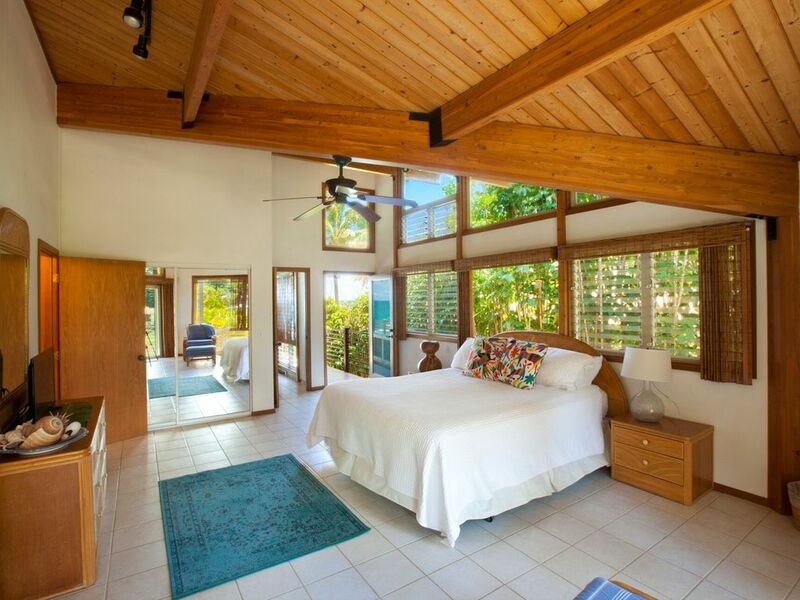 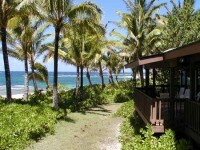 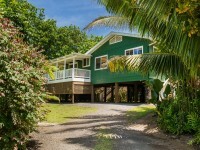 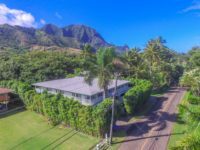 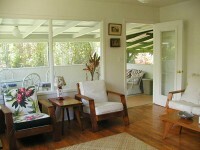 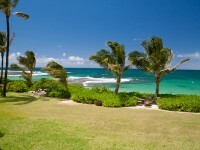 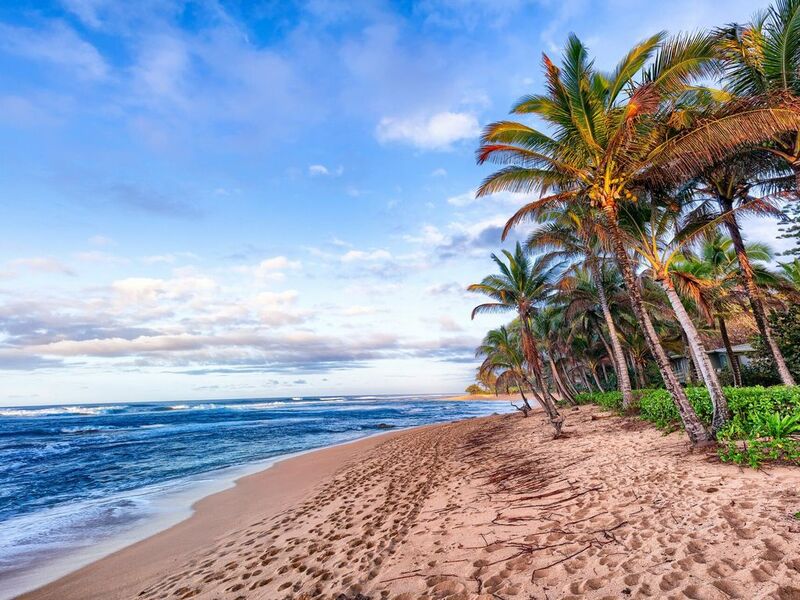 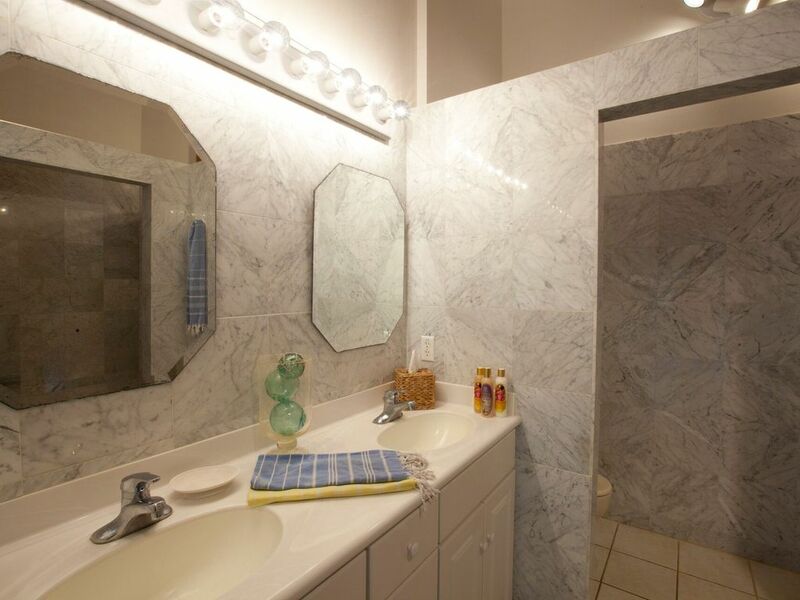 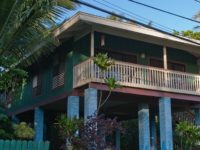 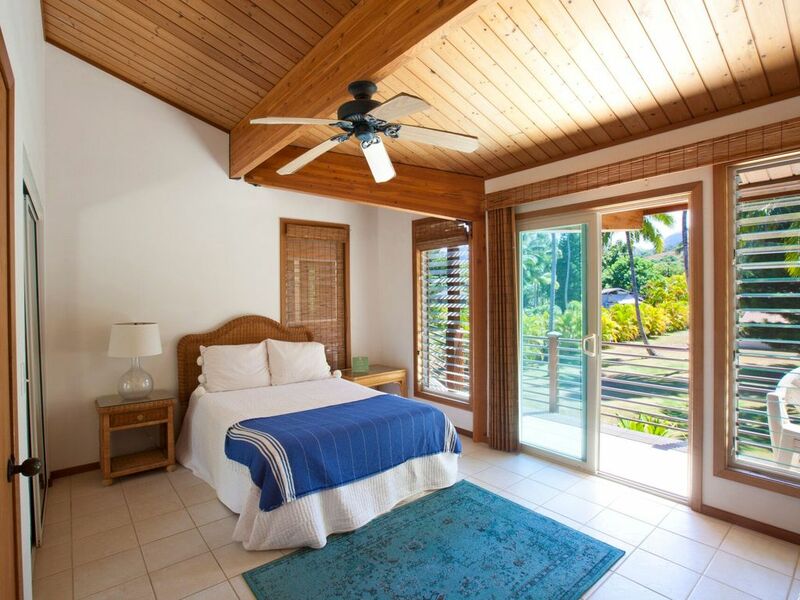 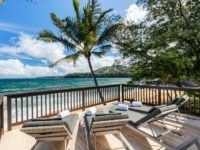 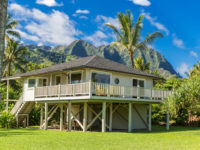 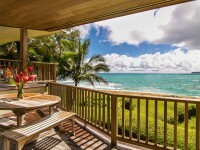 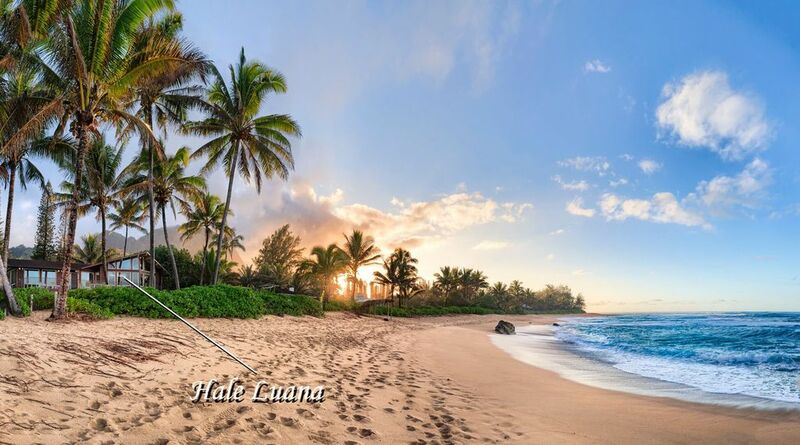 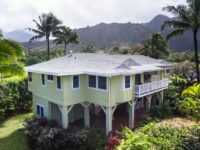 HAENA, KAUAI VACATION RENTAL: This 3+ bedroom beach home sits on a beautiful sandy north shore beach just around the corner from famous Tunnels (Makua) Beach. 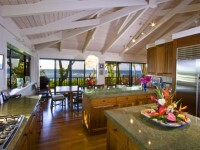 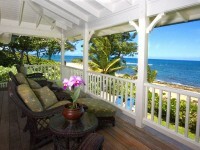 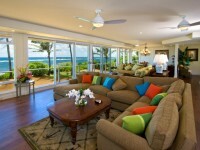 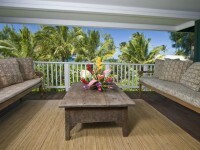 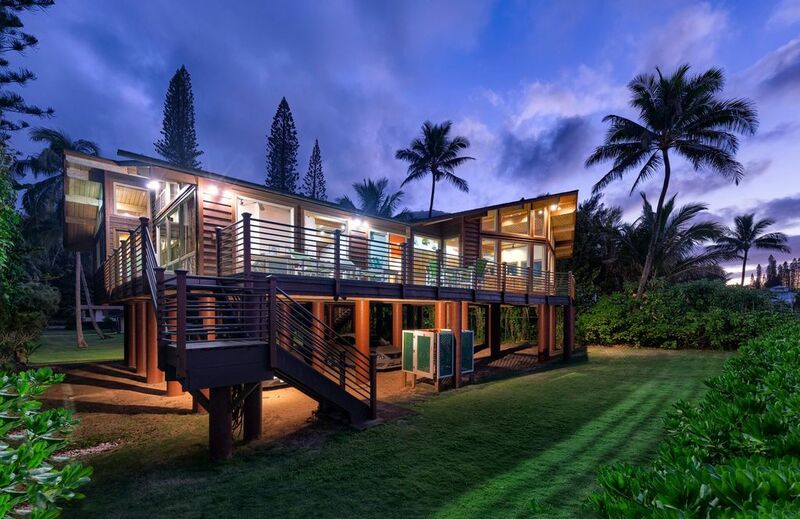 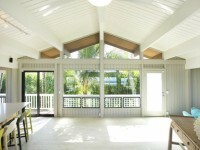 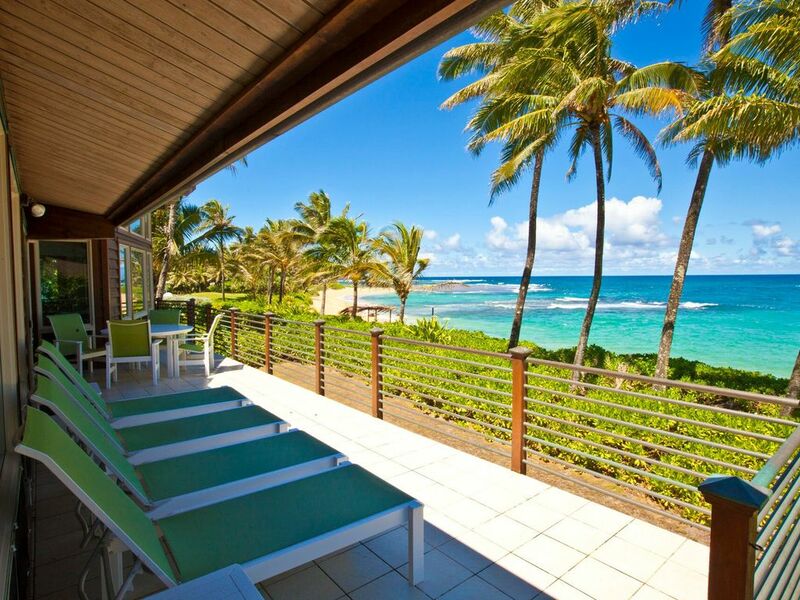 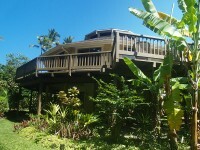 Hale Luana is one of our Haena stilt houses which means that you have second story views from the house and lanai. 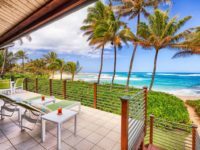 It offers a great room with vaulted ceilings, an open kitchen for entertaining, and a welcoming beachside lanai where you will want to spend your leisure time. 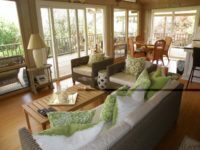 The living area is filled with overstuffed tropical bamboo couches and chairs, a large dining table and barstools at the kitchen bar. 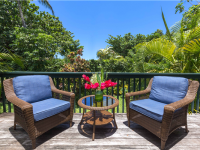 Make fresh coffee in your French Press with steamed milk or create delicious smoothies or cocktails with your high-speed blender then head to one of the many lounge chairs on the lanai or take a nap in the hammock. 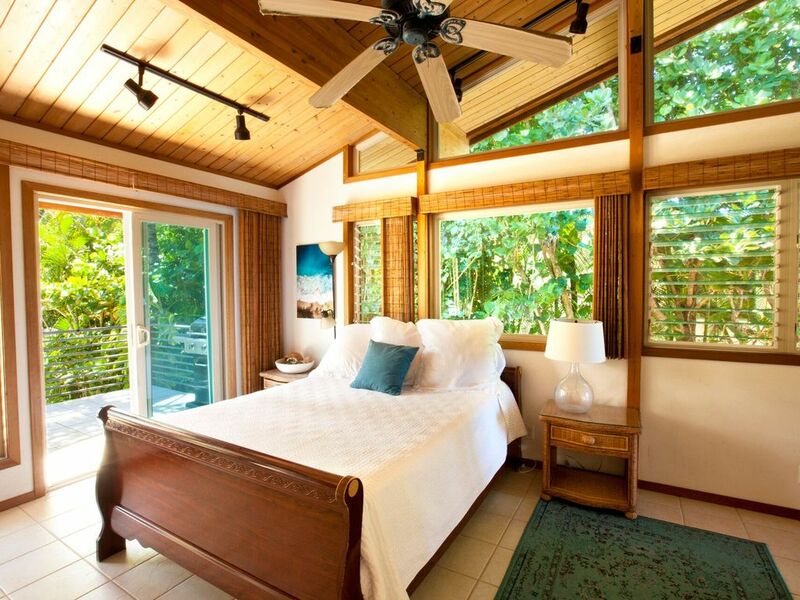 The perfect way to relax after a day at the beach or adventuring.